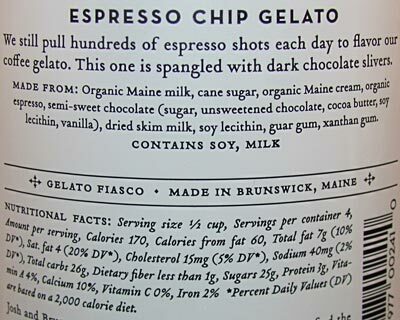 [By Nick] ‎Remember back in November when I went to Maine and visited the fine folks at The Gelato Fiasco? Well while I was there, I also tried their God of Thunder coffee. That's easily the greatest name for coffee but it was also some of the best coffee I've ever had. It could've been all in my head after sampling so many sweets throughout the day, the coldness from walking around Maine or just being in that area. However, I've yet to have a black coffee as good as theirs. Why do I mention this? Well because I'm reviewing this! Coffee Gelato with Dark Chocolate "Slivers"
While this gelato doesn't use the god of thunder blend, I know they're not messing around when it comes to coffee over there in Maine. 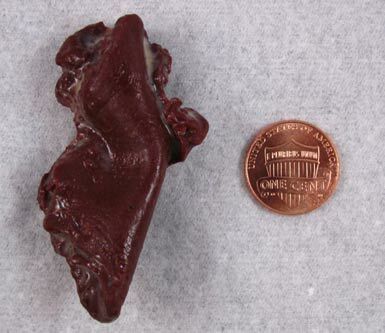 This one has a great coffee smell coming off it and just look at that color!‎ Oh and those my friends are not slivers. Those aren't even chips. These are straight up chunks of dark chocolate. You'll see what I mean in a bit but let's first talk about the base. The coffee base is strong and robust. It's more on the bitter side which I love and just the right amount of milkiness to it. The texture is spot on as always. Okay, enough with that. Let's talk about these dark chocolate "slivers". Just look at this monster. This is not a sliver. This is on par with the chunks you find in Graeter's and it wasn't the only one I encountered. The Gelato Fiasco was not fooling around with the size of their chunks here and they're plentiful as well. The dark chocolate adds more bitterness to the flavor and I honestly love the combination. 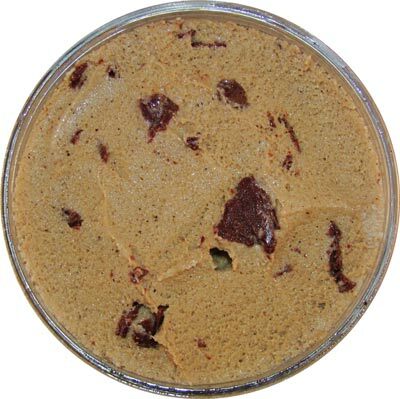 This is high quality dark chocolate with high quality coffee making for a remarkable gelato. 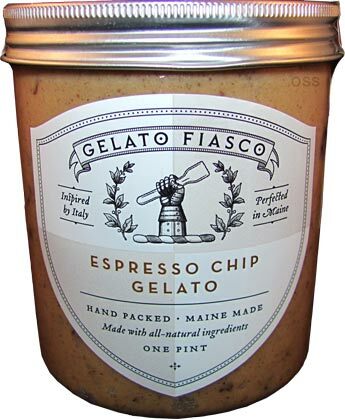 While I still prefer Haagen-Dazs Tiramisu for an all around coffee flavor, The Gelato Fiasco takes over the spot for the best bold coffee flavor I've had. If you like your coffee like the color of my heart, seek this one out. Kind of unrelated, but I reached out to Gelato Fiasco to express my dislike of the two flavors I recently tried. I was thrilled to hear back from them in less than eight hours, and by a live person. Long story short, I was told a refund check was on the way because they have a 100% satisfaction guarantee program for customers. I may not have liked those flavors, but I like a company that stands behind their product by way of making a customer feel appreciated. They get major points for that. The Toy Box, that's great to hear! They're a pretty awesome company and I see them giving major companies a run for their money in the near future. Feel like I was pillow talked. Gelato Fiasco reps talking a smooth game, but I've yet to see the promised refund.